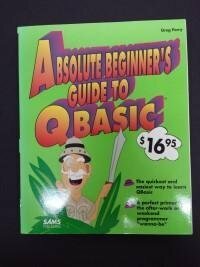 I went through the book and wrote several programs of my own. I was always interested in writing some kind of a chat bot. I was able to get one working in QBasic, but it wasn't until quite a few years later that I wrote something that actually worked well. That one was written in perl, but I'll save that for another article. Before this most of what I had done on computers was related to homework, or gaming. I did quite a bit of fiddling with settings in Autoexec.bat and config.sys files, and whatever else needed to be done to get games to run. So that probably laid some groundwork for understanding variables and some other basic concepts of how a computer works. I'm going to write a few other articles on my early experience with coding, and how I started doing it professionally. Hopefully these will be completed over the next couple months.